Let’s get this out of the way first: what’s available on YouTube right now is an 18-minute spec version of what Sonic could be, not the full film itself. As such, several events that might take longer to develop in a feature-length movie are abridged, and others feel oddly out-of-place. But as far as spec films go, I was interested enough to want to see the rest of Lebron’s vision. For anyone who doesn’t know, Sonic the Hedgehog is the titular character of an entire series of Sega games. He’s blue, he has spiky hair, and he moves extremely quickly. As of the second game, he gained the power to speed up in place before taking off at high speed (by holding DOWN and repeatedly tapping JUMP). Sonic never had weapons or armor, except for the occasional shield or invincibility bonus. His goal was to destroy robots sent to harm his friends, and at the end of each level he would release his animal friends from captivity. The robots were sent by the evil Dr. Robotnik, although I was never really sure of his motivation. Sonic was later brought to life in animated form for about four years, and was voiced by Jaleel White (Family Matters). My daughter enjoys the show, but I never got into it. 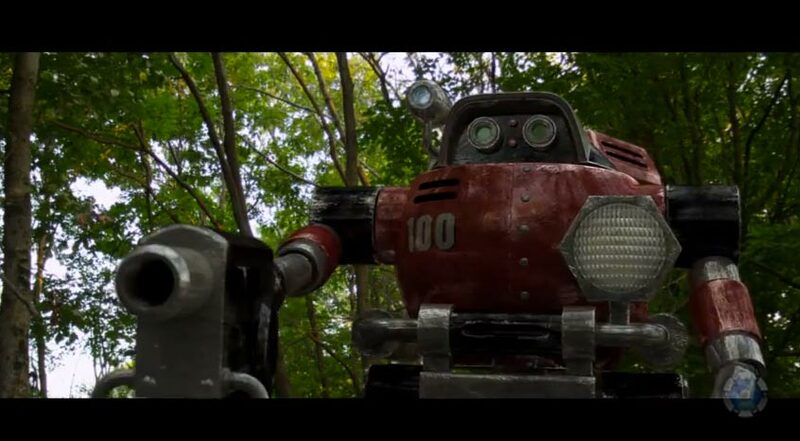 One of Dr. Robotnik’s battle robots. Lebron’s interpretation of the iconic character is far less cartoonish than previous ones. In Sonic, an evil scientist bent on the racial superiority of humans destroys an island that’s home to the planet’s most intelligent animals before taking his battle to the world’s general population. The army attempts to fight back, but Robotnik — that’s the mantle the scientist has assumed — is using robots to do his bidding, and the military is simply outgunned. But not everyone on South Island was killed in Robotnik’s attack. At least one has survived: a fast-moving blue creature that no one’s gotten a good look at even though he’s been waging a one-man (or, at least, one-hedgehog) war against Robotnik — a war that is about to kick into high gear. When it comes to fan films, it’s kind of expected that the acting won’t always be up to par because they’re done as a labor of love. Sometimes there are hidden gems, such as Andrew Graves in Harry Potter and the Ten Years Later, and we see that here in Sonic with D.J. 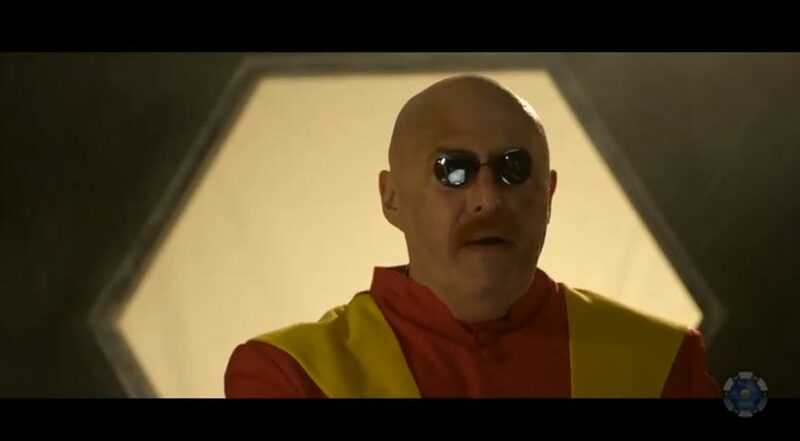 Hazard, who plays Dr. Robotnik. The other live-action performers are passable in their roles, although they don’t stand out to me, not in the same way the actors in Lebron’s Mega Man did. However, big ups to Jaleel White, who returned to play Sonic once more. He only has a few lines, but he sounds exactly like the animated version, and that’s the voice most Sonic fans associate with the character. I didn’t hear enough from him to judge his performance one way or the other, though. Where this film really shines is in the special effects. The robotic characters and vehicles are truly impressive, and with the exception of one brief moment, everything was composited in such a way that it felt seamless. The robots were also quite realistic, especially in the low-light scenes of Dr. Robotnik’s lair. Lebron also did an excellent job combining setting and storytelling to keep things ominous, so that we could believe how evil Robotnik is. Though the concepts of rings and chaos gems don’t figure prominently in the film, they look to be important as the film progresses — should it go farther than a spec film, anyway. The original soundtrack by Daniel James is more atmospheric than I’d like, but I enjoyed it just the same and felt it was appropriate to the material. I would’ve appreciated it being mixed a bit more prominently in places. Watch for an early — and very brief — appearance by brentalfloss near the opening of the film. I did enjoy watching Sonic. For a fan film — something that the creators cannot legally be paid for — Lebron and his team put a lot of time, effort, and thought into how the story would unfold. I’d really like to see how the chaos gems fit into the world, and also how Lebron will work the rest of the Sonic game mythos into the story (similar to how he did with Mega Man). Video game fans and general Sonic the Hedgehog fans will enjoy this film, provided they take it in the spirit it was intended. Those who enjoy mad-scientist tropes and robot apocalypse stories will likely also be satisfied. 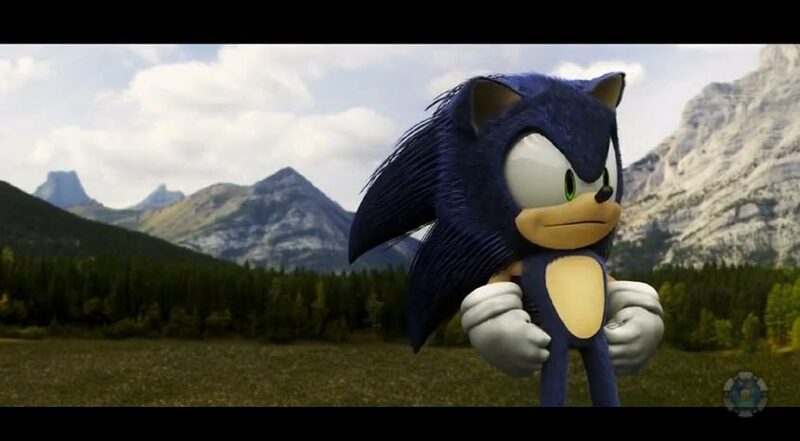 Overall, Sonic is a pretty good entry into the fan film milieu. It’s worth 20 minutes of your time. Sonic can be viewed for free at YouTube.